The Clarity eCard Reader provides member solutions for Health Insurance Carriers. With this secure mobile application, members have access to their Health Insurance ID card on the go using their iPhone, iPad or iPod touch. Clarity offers industry-leading capabilities in mobile eCard delivery. 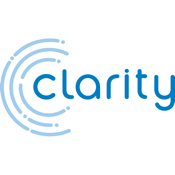 For more information on the Clarity eCard Reader and other services, visit us at http://www.clarityssi.com, email us at contactus@clarityssi.com, or call us at (203) 453-3999.